December 14th. Christmas Jumper day. An exciting time to be in London, where the morning commute is filled with people wearing over the top sweaters, full of Christmas cheer. This annual event has become a bit of a tradition, where you find the most outrageous jumper you can find and actually get away with it at work. But where did it all begin? If you thought, like magic, the Christmas jumper just appeared out of know where and has just stuck around, it’s not entirely the case. Although it wouldn’t be Christmas without a little bit of magic. Here is a brief history of our beloved Christmas Jumper. Once an item that hid in the back of the cupboard that would only come out once a year, if that, has blossomed into an annual tradition, the crazier the better. The basic knit jumper can be traced back to 1890’s Scandinavia, as they were hand knitted, heavy and warm to cope with the winter. The rise of knitting in the UK was also quite popular around this time as it was a useful skill to have. Turns out Queen Victoria was known as a prolific knitter. If you could knit and have the time, knitting jumpers, especially adding a Christmas theme to it, was the perfect solution to winter clothing problems. As popular culture became bigger and bigger, so to the use of knitwear, especially in Christmas campaigns, which saw the humble knit replace dresses and suits. Christmas jumpers, also known as ‘ugly sweaters’ were thought to be mainly hand-made by wives, mothers and grandmothers, research has shown that the Christmas jumper was apparently first mass produced under the name of ‘Jingle Bell Sweaters’ during the 1980’s. The population of the Christmas jumper has been helped by the use of media throughout the years. Noel Edwards and Gyled Brandreth wore their best Christmas jumpers on live TV for entertainment, although either of the two manged to start a fashion trend at the time. 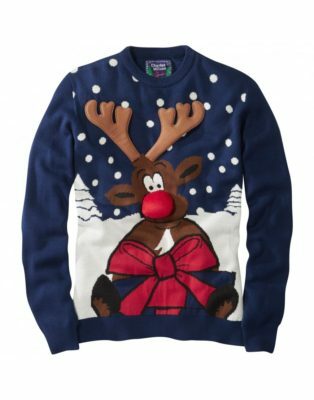 After a bit of a love/hate relationship with the Jumper through the years, it wasn’t until 2001, where Bridget Jones met Mark Darcy and his Rudolph the Rednose Reindeer Christmas Jumper. With the charm of Colin Firth, Christmas Jumpers suddenly became cool. A trend was set. In fact, the uglier the better. The big brands started to chip in on this not so traditional tradition that has become a part of our festivities. 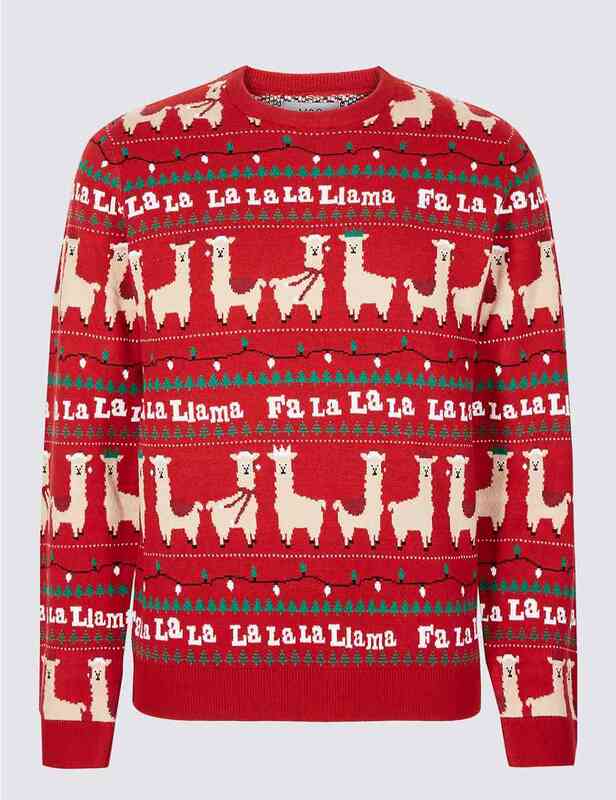 Nowadays, the Christmas jumper is a staple in winter collections. There are competitions, charity events and prices range from free (make it yourself, such fun) to high end designers like Dolce & Gabbana and Ralph Lauren selling them up to a thousand pounds. 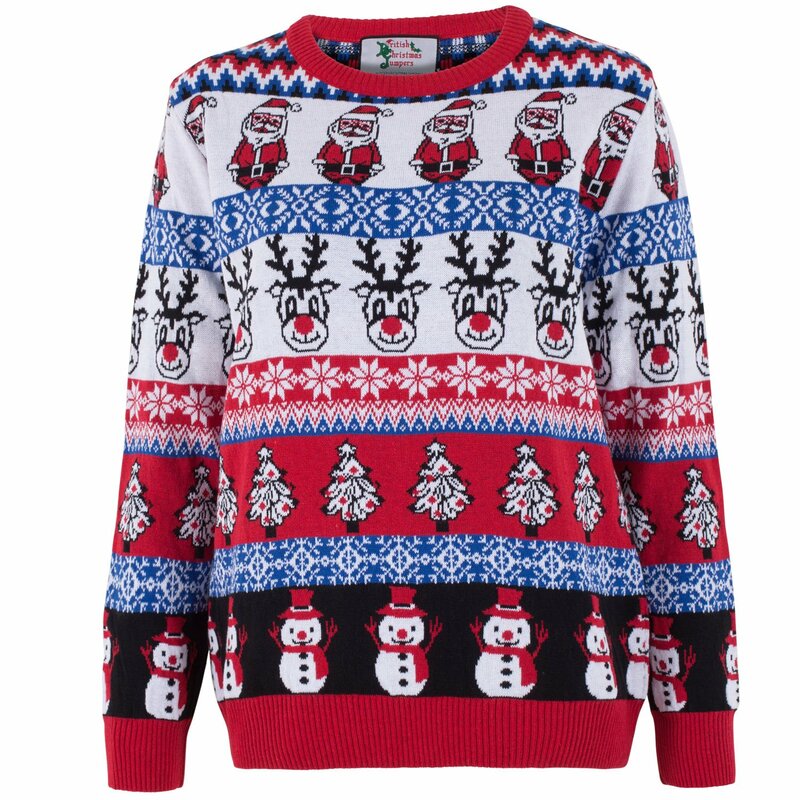 2012 saw the launch of Christmas Jumper Day run by the charity Save the Children. Since then, many celebrities have donned their jumpers with pride; schools and companies have also taken the leap into the annual event and December 14th took on a new meaning and purpose. For some, the Christmas jumper isn’t just a jumper, it’s a symbol of hope, happiness and a refreshing sense of laughter and wonder. For others it’s a tradition. So whatever jumper you wear, from subtle to completely in your face. Where it with pride in this festive season of being jolly and generous. 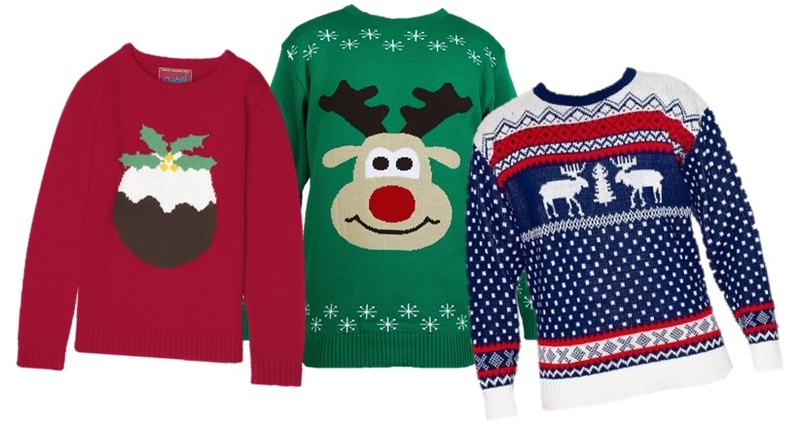 Below are some of Alumno’s favourite jumpers they have seen online. Follow us on twitter @AlumnoGroup and Linkdin in the lead up to Christmas where we will be posting something new everyday!